Finally a great hot chai for bedtime. 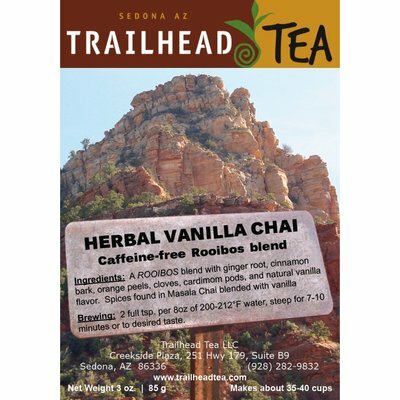 This caffeine-free ROOIBOS-SPICE chai blend also contains ginger root, cinnamon bark, cloves, cardamom, orange peels and natural vanilla flavor. Crisp and a little tangy sweet flavor, with just the right amount of spiciness. Great all by itself, but awesome with just a touch of raw honey and a drop of milk or milk substitute. 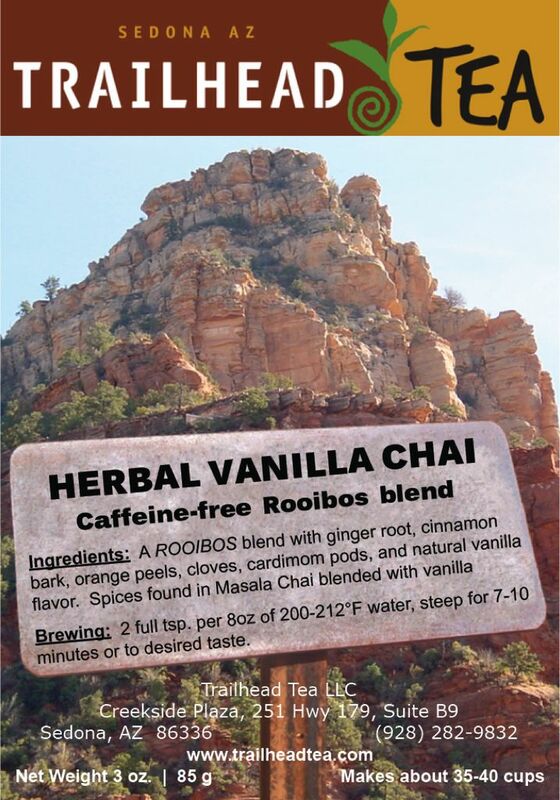 Almost all quality rooibos produced is from South Africa, is organic (although added ingredients may not be), is naturally caffeine-free, is high in antioxidants (similar to real tea from the Camellia sinensis plant), and most importantly is great served hot or iced. Package size is 3 ounces of full leaf tea, which yields approximately 37-38 first cups. Tin size is 6 ounces which yields about 75 first cups. Bulk one pound is available for about 200 cups. Teabags are single serving. 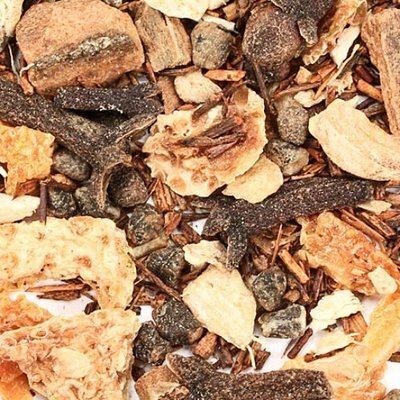 If you enjoy a spicey tisane that has all the flavors listed in the ingredients list, do not be shy. You will indeed experience all of those flavors in every sip. The thing that makes this a great brew is the balance. I highly recommend giving the mixture a strong shake before spooning out your portion. Otherwise, over time, the finer ground ingredients all sink to the bottom of the tin/bag.